Goal Zero Guide 10 Plus Battery Pack is a ultra lightweight USB and solar chargeable power pack that can be used as a single unit power bank to power your device or as a power source to recharge the batteries for use in any AA or AAA battery powered device. Battery Pack: Portable, rechargeable battery pack for power hungry gear. Includes a USB output for charging phones and boosting tablets. Removable, Rechargeable Batteries: Use AAs or AAAs for headlamps, flashlight, and remotes. 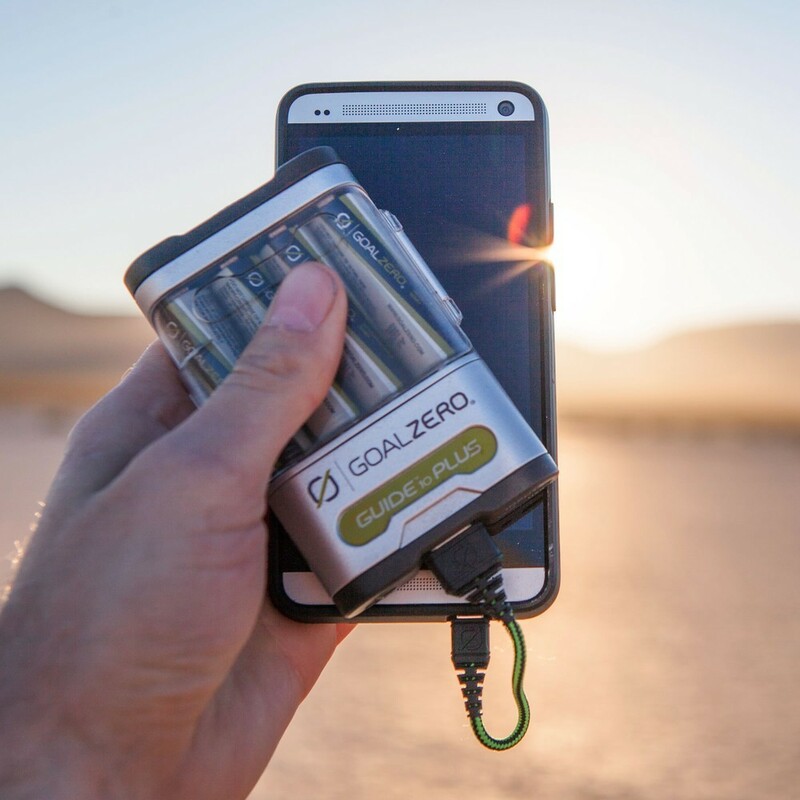 *When using GOAL ZERO NiMH rechargeable low self-discharge AA cells. 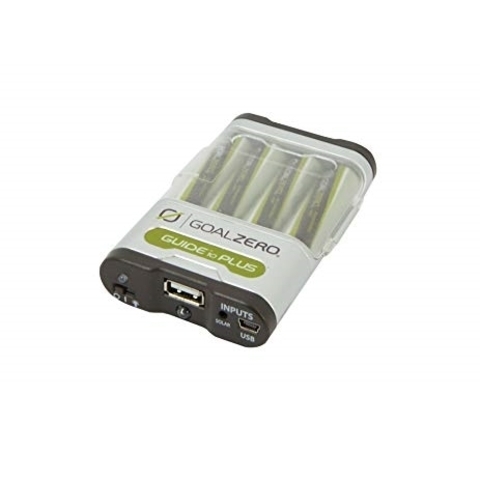 **AAA Cells require an adapter, which is included with AAA battery purchase. Buy with solar kit and recharge with sun in about 3 hours.